I have a treat in store for you guys! Make sure you’re looking out on Monday 31st October for details and you could be in with a chance of winning all these Peter James goodies !!! And yes, that is a signed copy of Love You Dead!!!! I’m a book blogger, a relatively new one at that and I love it. 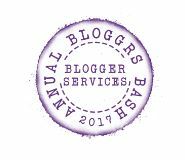 I’ve been welcomed into the world of all things bookish with open arms by my fellow bloggers, authors, publishers, PR people and readers. It’s a fantastic community and I have made some great friends along the way. But what does a… Continue reading Random Ramblings – What do bloggers do?